MALIBU CERAMIC WORKS was established in 1979 as part of the master craftsman revival movement. 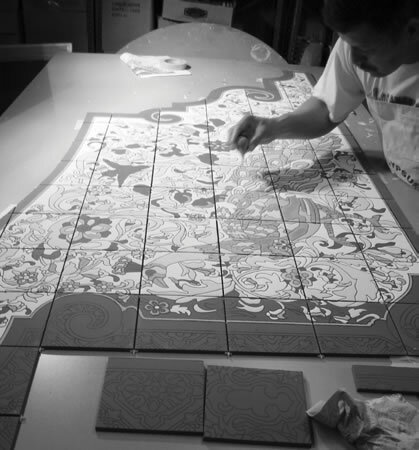 Our mission is to create beautiful handmade tile and terra cotta products in the tradition of local tile manufacturers that flourished during the early part of the 20th century. Companies like Malibu Potteries, The Santa Monica Brick Company, The Hispano Moresque Tile Company and Catalina Pottery are just a few of the many tile companies that together created the look that is synonymous with Spanish Colonial Revival architecture. In addition, our work has been featured in Sunset Magazine, American Bungalow, Traditional Builders and the Los Angeles Times.